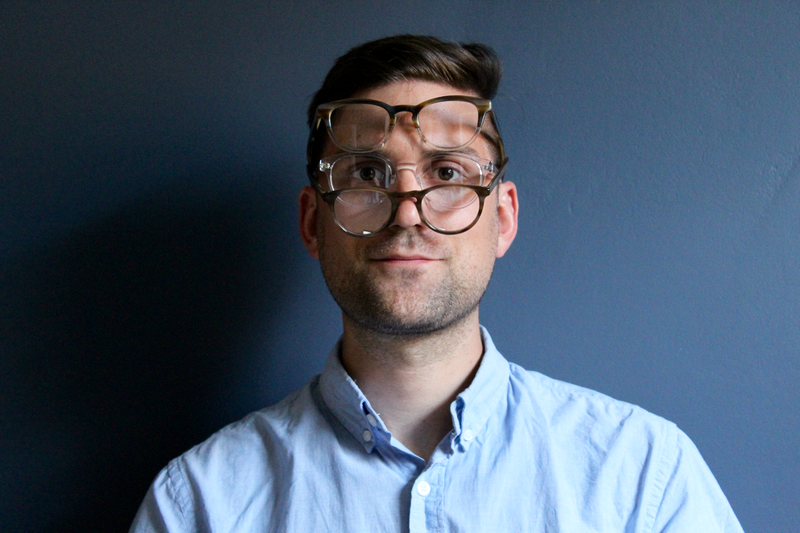 This product was sent to us for free from Warby Parker in exchange for our review. Thank you for supporting the sponsors that support The Surznick Common Room! Every August feels like such a transitional time for me. Even though my day-to-day life generally stays the same, I think the back-to-school vibes going on around me make me want to take a deep breath and go into the next season (my FAVORITE season) with a fresh start. And what better way to start fresh than with fancy new frames? 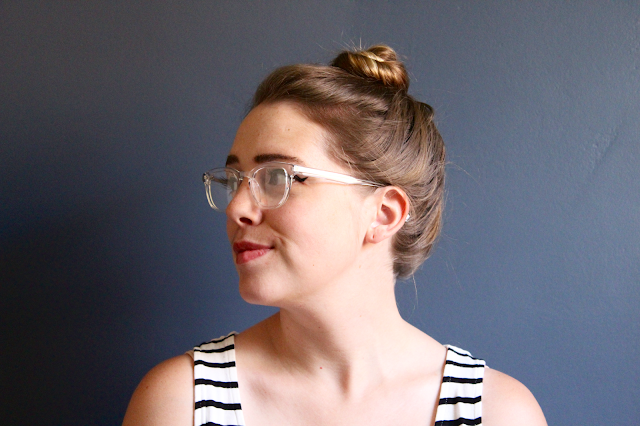 Our friends at Warby Parker recently let us pick out fun new frames to switch things up a bit this fall. If you're not familiar with Warby Parker, here's the CliffsNotes version of their story: Glasses used to be crazy expensive and they wanted to provide consumers with cheaper alternatives, that are still well-designed with great quality. 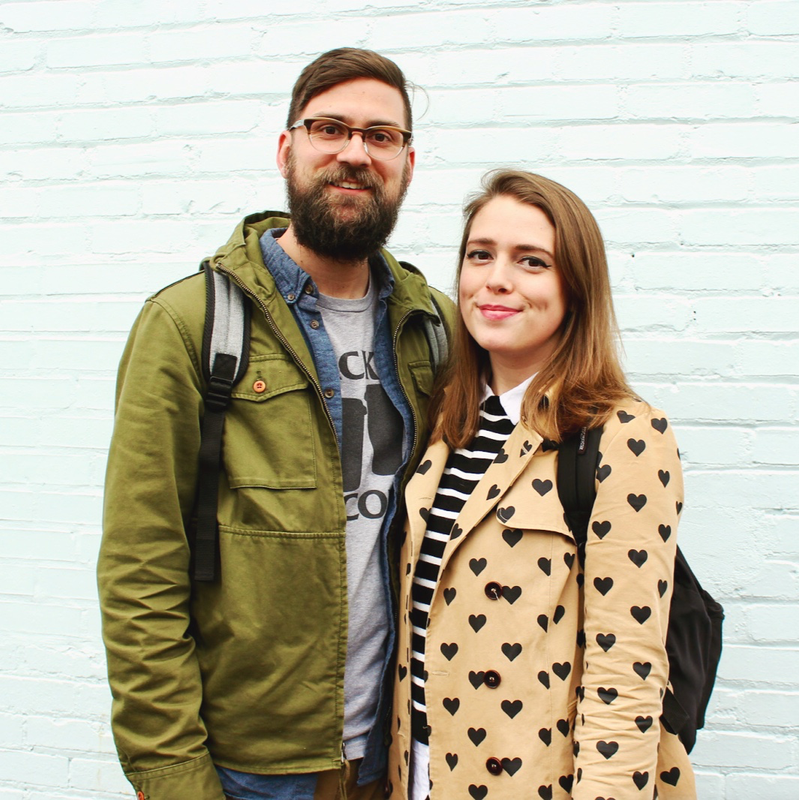 Their glasses start at $95 (including prescription), which is way cheaper than you'll find at most eyeglass retailers. They also donate a pair of glasses for every pair sold, so working with them is truly a win-win. 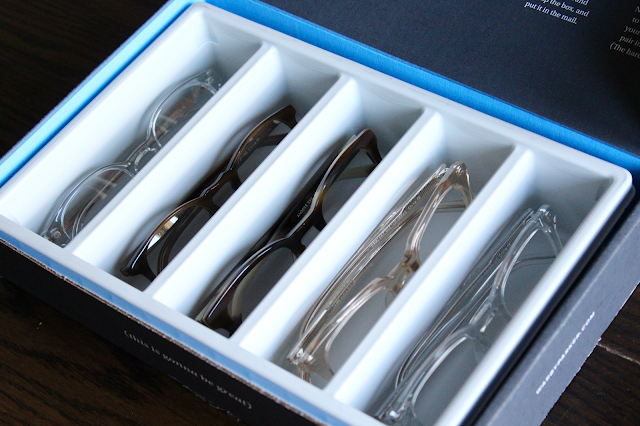 To determine which frames we would want, we ordered a Home Try-On Box. With the home try-on process, you get to select your five favorite frames to try out for free, snap a few pictures, and style them with your wardrobe before making your choice. Nick and I split a box and had some fun testing out each pair! Nick tested out the Percel in Crystal, the Anders in River Stone Fade, and the Stockton in Striped Beach. I tried the Chelsea in Grapefruit Soda and the Anders in Crystal. After your trial is done, just send them back for free in the box they came in! Ultimately I decided to order the Chelsea frames in Pink Grapefruit and Nick ordered the Anders in River Stone Fade. Ordering the frames is super simple. No typing in your prescription details and (the best part) no fussing with a ruler to measure your pupillary distance. With Warby Parker you just upload a photo of your prescription, or if you don't have it handy, they'll call your doctor FOR YOU. Pro tip: If ordering multiple pairs with different prescriptions, place the orders separately because it's one script per order! We've been wearing our new glasses for about a week now and we love them! I'm not sure what drew me to transparent frames, but I think they're so fun and I've gotten quite a few compliments on them. The tinge of pink in the frames is subtle, but adds a softness that I really love. 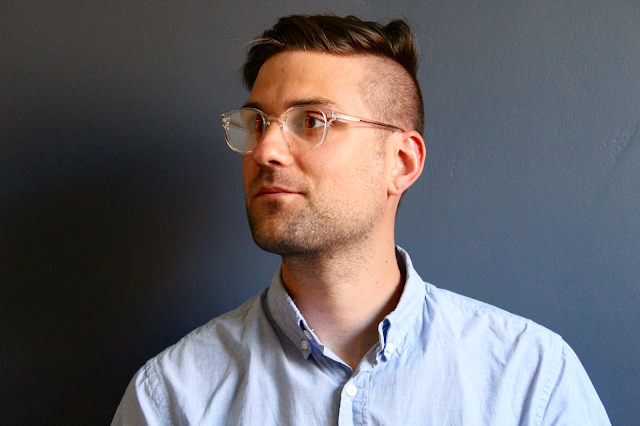 Nick loves the two-tone color in his frames and the slight horn-rim has kind of a 50's vibe. 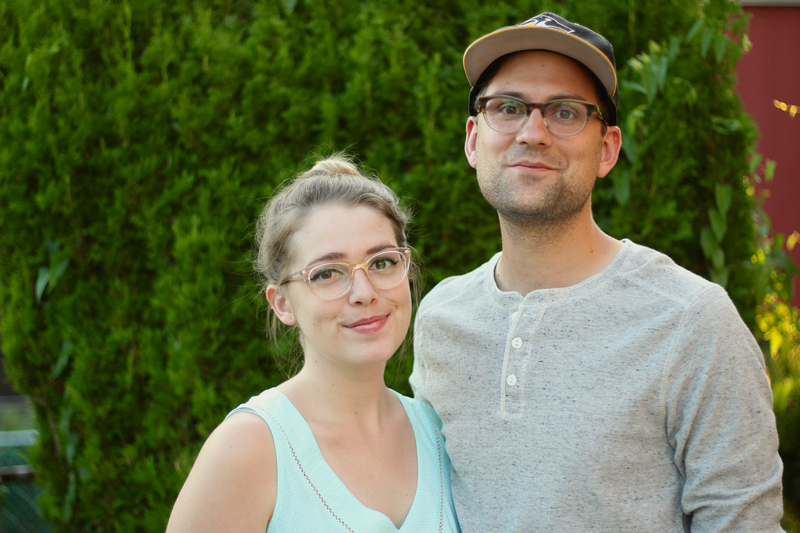 Overall, we're both super happy with our new glasses! So tell us what you think! Do you like them too? 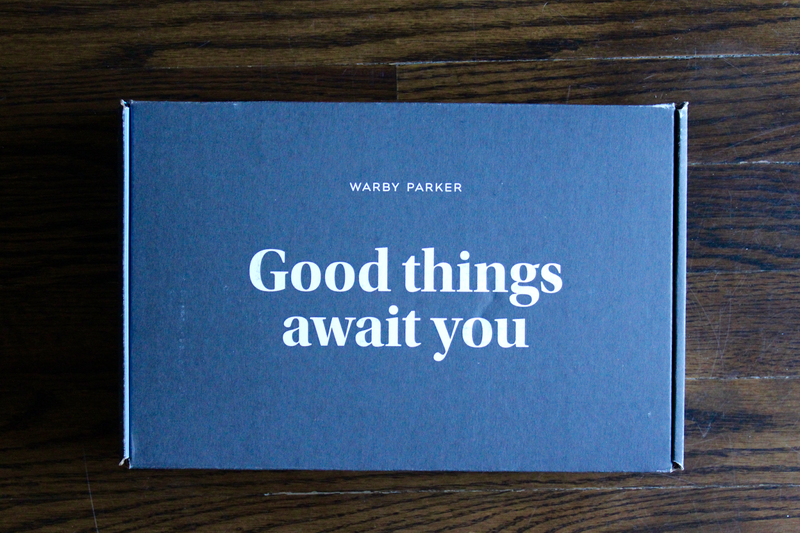 Are you also a happy Warby Parker customer? Share with us in the comments below! And a big thank you to Warby Parker for collaborating with us on this post. At the time we ordered, we didn't know we could only provide one prescription per order and their customer service team was so helpful in getting our separate prescriptions for each pair of frames. Big thumbs up from these four-eyed kids.